Looking back through my brew logs, June was quite a productive month for my standards, brewing four batches, including my first one-gallon batch, the Craft A Brew brown ale kit. Initial tasting notes are quite nice, close to a Northern English Brown in style. Look for tasting notes soon. 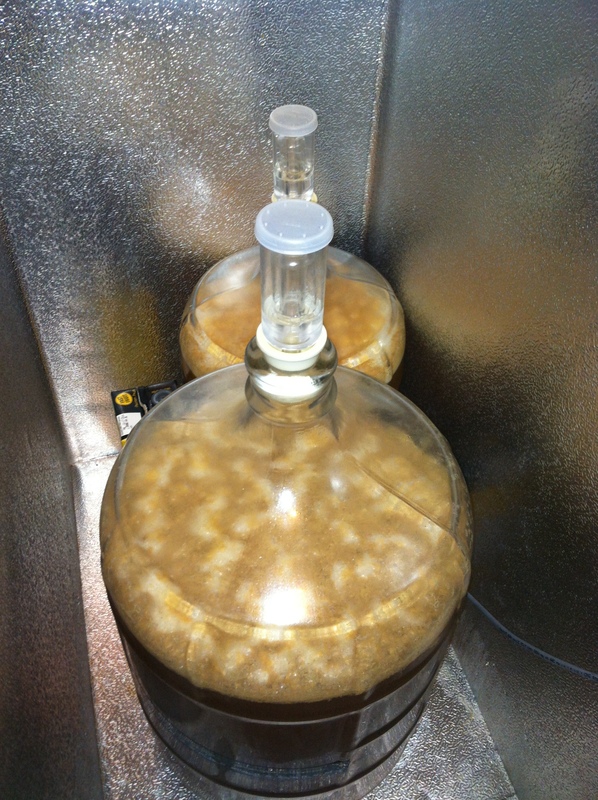 At present, my 2014 Summer Solstice Helles Bock and Oktoberfest are actively fermenting at 50 F. Soon, another lager batch will be joining in on the fermentation, packing my temperature-controlled chest freezer to maximum capacity. For the holiday weekend, I’ll be brewing a Schwarzbier-style lager, reusing the yeast from my recent German Pils two-gallon batch. After a hard week at work, I am looking forward to brewing and drinking some great homebrew! Looking forward, lots of change is coming to homebrewing as the BJCP recently announced long-awaited updates to the style guidelines. Minor points include style name changes, such as Dark American Lager to International Dark Lager, and style splitting, from Oktoberfest to Marzen & Festbier. Major changes include new categories and styles, for example, Historical Beers and American Wild, and style expansions, including IPA, now with Black IPA! It’s good to see the style guidelines re-worked. Additionally, this should make judging and competitions pretty interesting in the next few years as everyone gets up to speed. Once the new guidelines are officially published (around the end of 2014), I’ll be keen to try out a few of the new styles and re-work some of my recipes. For those interested in brewing competition and/or beer styles in general, check out the presentation by Gordon Strong and recorded by Chop and Brew with the video attached below. How was your week in brewing, and what are your thoughts in regard to the new BJCP style guidelines? Leave you comments below. Cheers, and happy brewing!